PROPERTY OVERVIEW >> $179pw -- Price incl. Modern shared office on Clarence Street in Sydney CBD with 8 open plan desks for rent. Open, airy and amazingly located, this privately tenanted workspace is the perfect opportunity for a small business to sublease a prime office space for less. The large desks are 1.5m each to offer way more comfort and they each come with a lockable drawer storage and an office chair. The open plan office is shared with a small and friendly team so you can relax and enjoy great facilities with lovely people around you. There is a 6-person private meeting room, a kitchen and lunch area and bathrooms, and this rental is offered with enterprise grade internet and a network printer (or feel free to bring your own!). 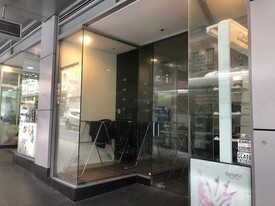 Every aspect of this workspace rental - utilities, cleaning, internet, furniture, meeting room use - is included in the advertised rate so all you have to do is pay one bill at the end of the month and make the most of all the time you’ve saved by choosing this hassle-free, plug-and-play office space in the heart of Sydney CBD. This contemporary shared office space sits in one of Sydney CBD’s most prominent business locations, midway between Wynyard and Town Hall Stations and close to the QVB on Clarence Street. The boutique office space has a private entrance with one flight of stairs leading you to the workspace. 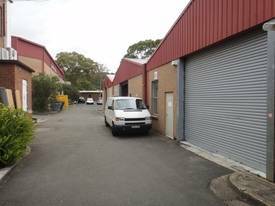 Positioned right in the heart of Sydney CBD, the location of this affordable shared office is reputed for close proximity to anything the modern professional might need. 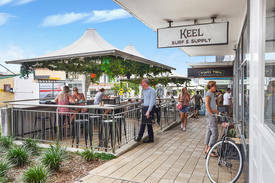 City clients will be within walking distance whether they’re at Martin Place or Barangaroo, high end shopping can be found a short walk away and all of Sydney CBD’s best bars, restaurants and cafes are right on the doorstep.